The current value obtained through the valuation models results in a present value target price of $64.24, a 29.70% upside to the current trading price of $49.53 (03/25/2019). Brunswick Corporation does better than MPX in market cap, P/S, gross margin, and next 5 years growth rate estimated. Analysts from Yahoo finance tend to view BC positively. Brunswick Corporation was founded in 1845 and is headquartered in Mettawa, Illinois. Brunswick Corporation designs, manufactures, and markets recreation products worldwide. People will think that sales of boats, fitness equipment, and billiards goods will be cyclical, rising and falling in conjunction with the growth and contraction of the global economy. However, while Brunswick Corporation’s results can heat up and cool off like any other company’s, they have been consistent. Brunswick Corporation does better than its main competitor, Marine Products Corporation, in market cap, P/S, gross margin, and next 5 years growth rate estimated. BC’s next 5 years growth rate estimated is much higher than MPX, which indicated that their estimated revenue will grow faster than MPX. BC also owns a higher gross margin, which means BC has a better pricing strategy. Thus, BC has a competitive prospect. Analysts from Yahoo finance tend to view BC positively. There are 18 analysts gave their recommendation rating of BC currently. 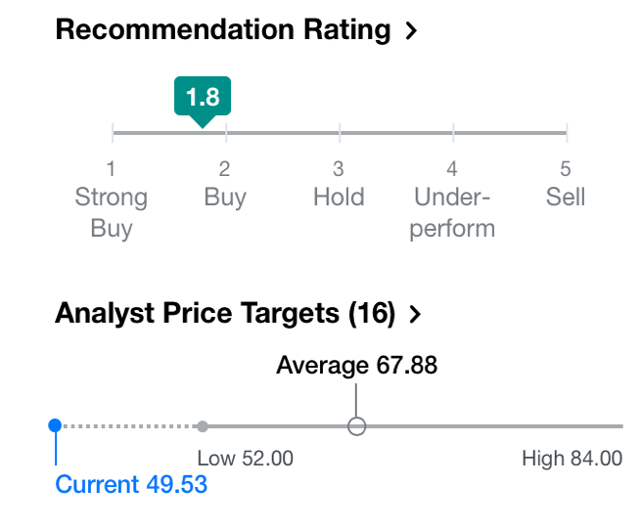 5 analysts rated BC a Strong Buy, 9 analysts rated a Buy, and 4 analysts rated a Hold. 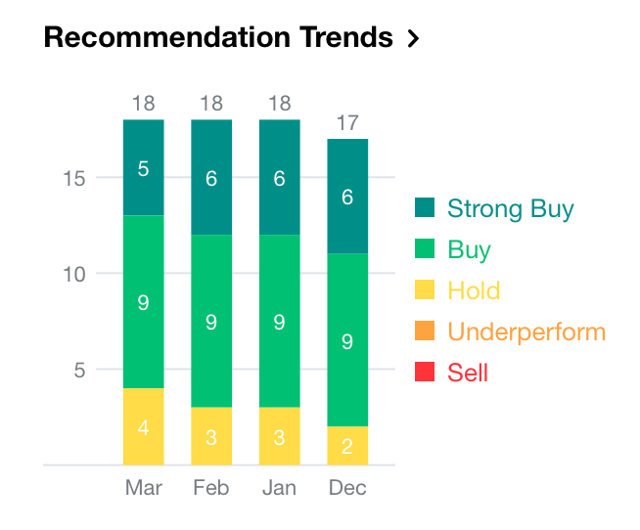 The recommendation rating is 1.8, which is between Strong Buy and Buy. The analyst price targets are from $52 to $84, with an average of $67.88. 4. Valuation Models: The valuation models I choose to use are the discounted cash flow model, relative valuation model (P/E and P/S), and football field. 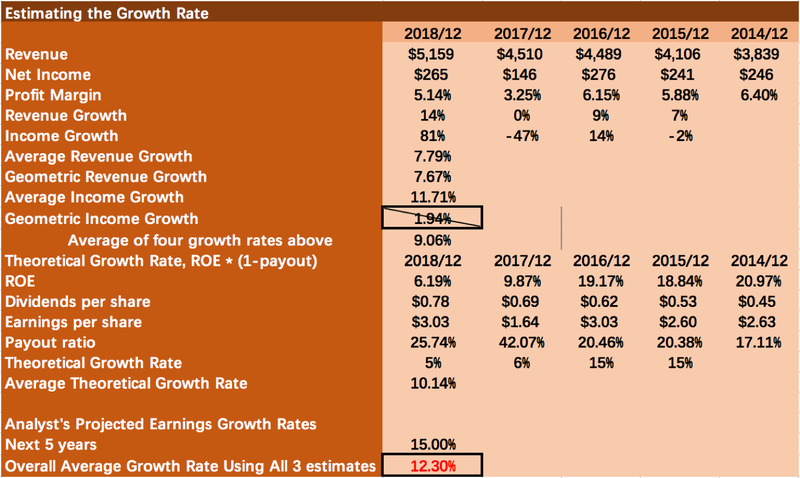 Discounted Cash Flow Model: In the DCF model, I do not change much since a majority of the numbers seem stable from year to year. The only major adjustment I make is to adjust the growth rate because the geometric income growth is too low (1.94%). So, I exclude geometric income growth. I adjust the growth rate to 12.30%, which is close to the analyst’s forecast. The calculated FCFE value is $2.50. Based on FCFE, the cost of capital, and future growth rates, the resulting intrinsic stock value for BC is $63.41, with a fairly wide range from $47.98 to $85.64. 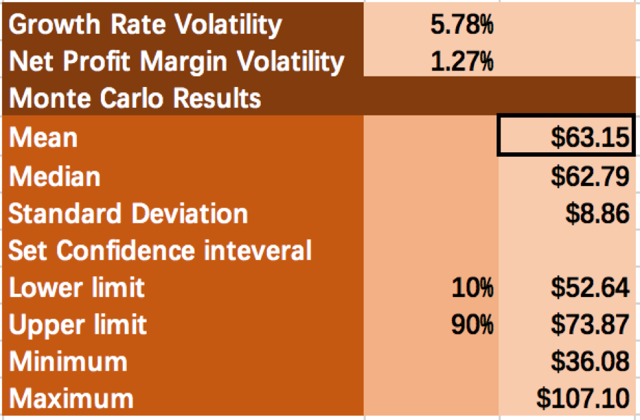 Monte Carlo Simulation Analysis: Using revenue growth rate volatility from 2012-2016 of 5.78% and net profit margin volatility from 2012-2016 of 1.27%, the model ran 1,000 iterations with varying FCFE values and growth rates, the mean value is very close to the DCF output. I am 90% confident that the intrinsic value of BC is between $52.64 and $73.87, with a mean value of $63.15 per share. Relative Valuation Model: For the P/E multiples I use an average of 4 expected P/E ratios and the low, high, and estimated earnings. The P/E ratios I use to get the average are the BC’s current P/E, last 5 years average P/E, its main competitors’ current P/E (MPX), and the industry average P/E, therefore (16.69+15.27+18.58+17.02) / 4 = 16.89 Average P/E. This is very close to the current PE. I calculated a range of 10.74 to 23.04. The expected EPS result in the best estimate value is $74.78, which is higher than the current price of $49.53. 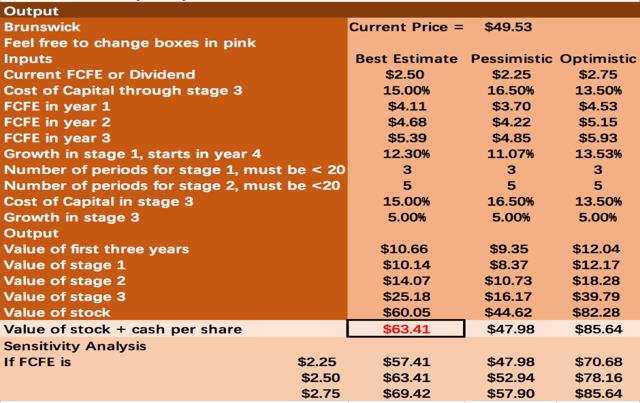 For the P/S multiples I use an average of 4 expected P/S ratios and the low, high, and estimated sales per share. The P/S ratios I use to get the average are the BC’s current P/S, last 5 years average P/S, its main competitors’ current P/S (MPX), and the industry average P/S, therefore (0.85+1.07+1.02+1.01) / 4 = 0.99 Average P/S. This is very close to the current PS. 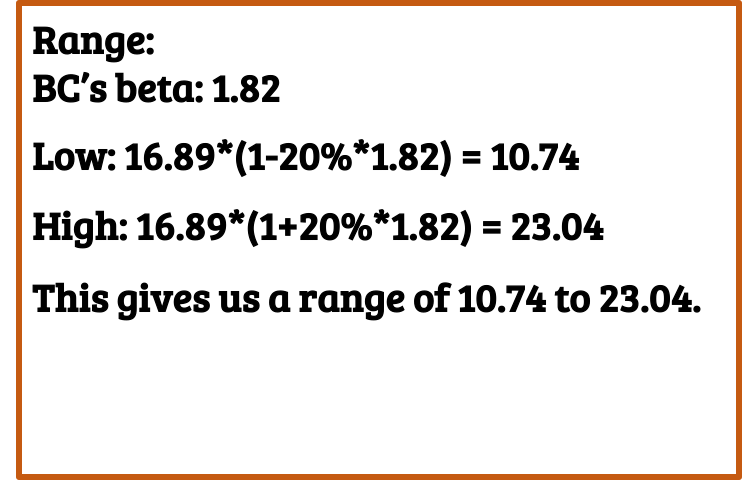 I calculated a range of 0.81 to 1.17. 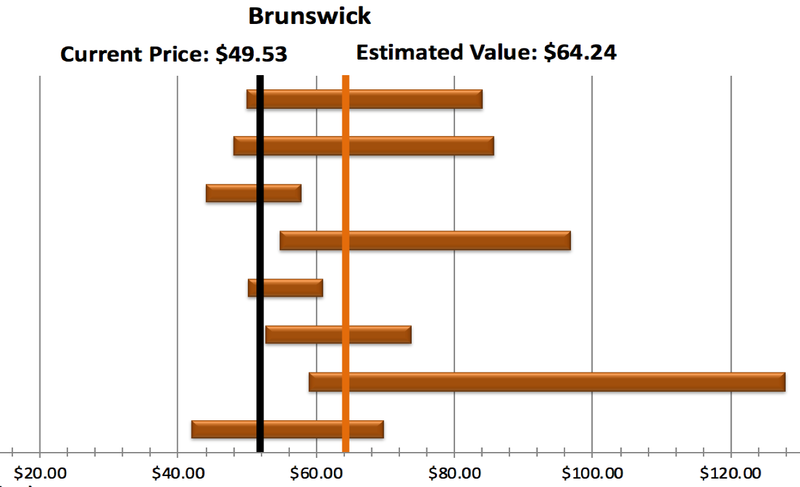 Based on my analysis, BC has an estimated value of $50.86, which is higher than the current price of $49.53. Football Field: The best estimate FCFE valuation for BC is $63.41, the discounted P/E value is $74.78, the discounted P/S value is $50.86, the residual income model is $55.46, and the external model is $82. The FCFE model is a stronger model and is weighted at 40%, the P/E multiple is weighted at 20%, the P/S multiple is weighted at 20%, the residual income model is weighted at 10%, and the external model is weighted at 10%. This results in a target price of $64.24, which is higher than the current price of 49.53. Based on the valuation models and the overall outlook for BC, I am initiating coverage with a Buy. The current value obtained through the valuation models results in a present value target price of $64.24, a 29.70% premium to the current trading price of $49.53 (03/25/2019), which affirms my BUY recommendation.